As you might expect from a band well-known for the complexity and detail of their arrangements, there's a lot that goes into recreating the recorded sounds of Nine Inch Nails live. But as both drummer Ilan Rubin and multi-instrumentalist Alessandro Cortini explained on our recent visit to their rehearsal studio, it's still a gig that allows for ample reinterpretation of the material and constant creative flow. Perhaps the most mind-blowing lesson we got from the NIN crew came from our old pal Mr. Cortini, who demonstrates in the video above how he uses a basic Tascam 414 4-track Portastudio cassette recorder as a live instrument. He triggers different chords and samples via casette, riding the EQ like a synth filter and pushing each channel's level to get a certain "toasty" quality to the playback. It is, as he put it, like a "poor man's Mellotron." In this second video with Alessandro, the highly respected sound designer talks a bit about his philosophy of viewing Eurorack systems as complete instruments and getting away from the at times overwhelming world of modular. He cites Make Noise as a great example of how a modular company can work with a design ethos that emphasizes instruments over individual components. The rest of his rig includes a Dave Smith Instruments Prophet 12, a Teenage Engineering OP-1, a Fender Duff McKagan Bass, and an Ibanez FR model. Next up, drummer Ilan Rubin walked us through his current drum rig, built around his "Bonham-sized" kit from Q Drum Co. Like Alessandro, Ilan sees his work with NIN as being about honoring the recorded sounds that the fans expect but with a healthy dose of reinvention. He uses electronic triggers on either end of his rig (for sounds like the unmistakable intro hits on "Closer") and even stands up to play the occasional guitar or synth part himself. 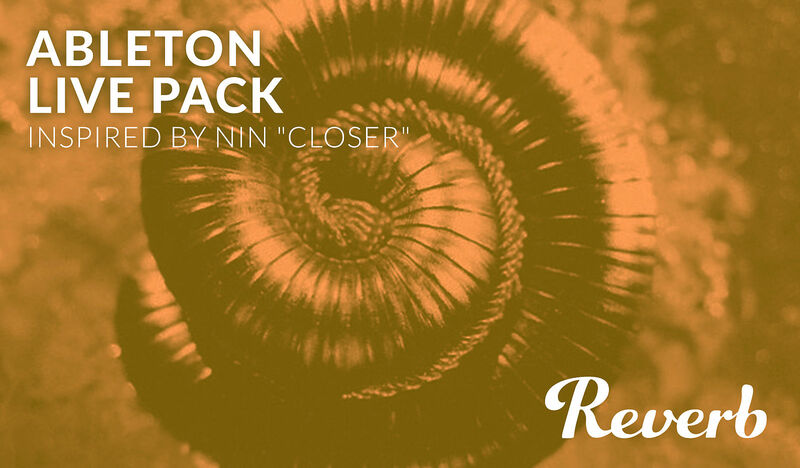 An exclusive Live arrangement and sound set of Nine Inch Nails' hit song "Closer."